Our Naturally Healthy Mountain Ridge 100% Raw Honey and Naturally Healthy Mountain Ridge 100% Raw Organic Honey is enjoyed by quality conscious, flavor connoisseurs everywhere. Mountain Ridge is thoughtfully collected from our honeybees and prepared the right way. Our process is environmentally friendly and adheres to the highest quality standards in our industry. 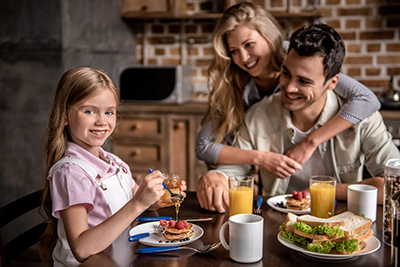 Always natural, always 100% honey, and always delicious, Mountain Ridge Honey is the perfect sweetener, flavor enhancer, and cooking ingredient to be enjoyed by the entire family while pursuing a rich, active and healthy lifestyle. Our 100% raw honey is never diluted or blended with fillers. Our customers trust Mountain Ridge Honey, and know they can serve it with confidence to their family and friends. Nature’s quick, easy and convenient food, our honey is always “farmer’s market fresh” with a surprising touch of sophistication that will please any palate. So much more than just “Milk and Honey,” foodies everywhere know how wonderfully tasty and versatile Mountain Ridge Honey can be at home in the kitchen and on tables across the country. Honey may be used as a natural, sugar-substitute in tea, smoothies, sauces, dressings, and glazes. Mountain Ridge Honey’s strong and unique flavor profile and rich texture offers a perfect baking ingredient or creative drink mixer. Honey also compliments a wide variety of fruits, vegetables, and meats, including chicken, pork, fish, and beef. Naturally Healthy Mountain Ridge 100% Raw Honey and Naturally Healthy Mountain Ridge 100% Raw Organic Honey is part of a large family of quality products presented by Golding Farms Foods. Founded in Winston-Salem, North Carolina in 1972, Golding Farms Foods has risen to become one of the industry’s most respected, local, food product and condiment sauces manufacturer. Our products are found at grocery outlets include Walmart, Carlie C’s, Food Country, Food Lion, Harris Teeter, Bi-Lo, Harvey’s, Winn Dixie, Ingles, Lowes Foods, IGA, Galaxy, Piggly Wiggly, and others. For more information about Golding Farms Foods products visit Golding Farms Foods F.A.Q.s and visit our page on Dietary Preferences to learn more about our great products.